The C-5 Galaxy is a 4-engine heavy-transport aircraft developed by the American company Lockheed. It belongs to one of the worlds largest aircraft types. There are about 110 aircraft in operational service: 70 by the US Air Force and the others by the US National Reserve. The total length is 75.3 meters. 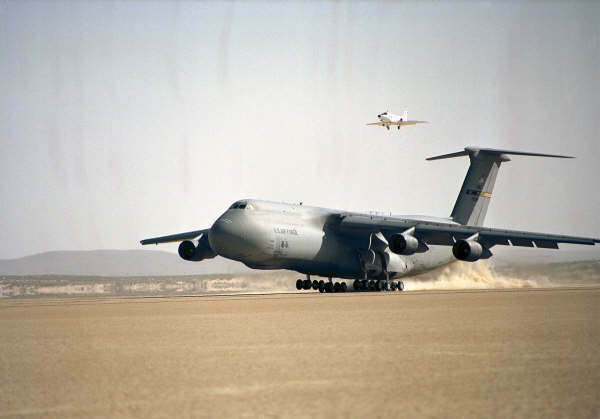 The C-5 can take-off and land without a paved runway. The C-5 has back and front load facilities for operational usage on forward air bases without airport facilities. 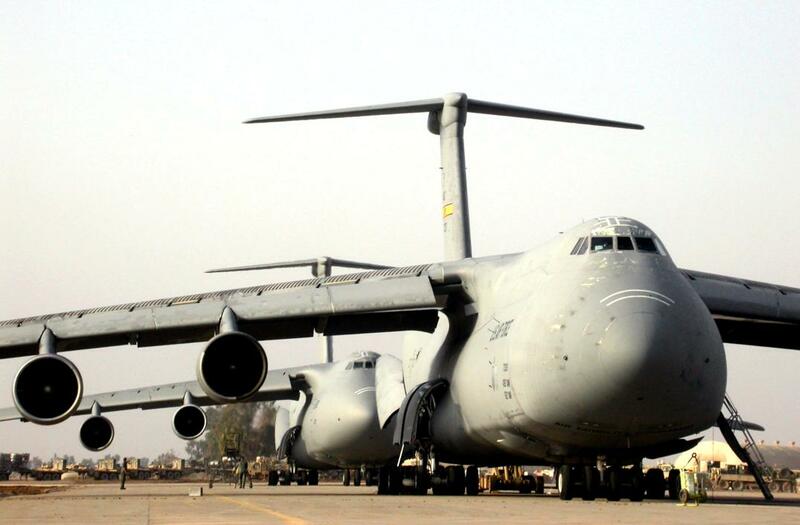 Thanks to this the C-5 can transport troops and cargo to the Forward Air Bases for the frontline. The C-5 has 2 floors. The under-floor is only for transport. The upper-floor has 73 chairs for the crew. When the under floor would be rebuild with chairs the C-5 would have a maximum of 329 seats. The standard crew contains: a pilot, co-pilot, 3 loadmasters and 2 flight-engineers. The C-5 has communication and navigation systems so it can operate without ground navigation facilities. The US Air Force will update the C-5 fleet (60 C-5A, 50 C-5B and 2 C-5C) after 45.000 hours with a Avionics Modernization Program (AMP) and the Re-Engine and Reliability Program (RERP). AMP contains improved flight safety, improved navigation and a comply with Global Air Traffic Management System. The cockpit will be updated with a collision avoidance system, a 6screen glass cockpit, weather-radar and collision avoidance-data. These systems are being installed at the Galaxy's operating at Travis and Dover AFB. The RERP contains a replacement by new engines, the General Electric CF6-80C2-L1F (military designation is F138-GE-100). These engines generate 22% more power, 840.000 lbs. After this upgrade the C-5 will be designated as C-5M. Originnaly it was planned to update the entire fleet by 2019. In July 2011, Lockheed Martin delivered the 3rd C-5M to the USAF.